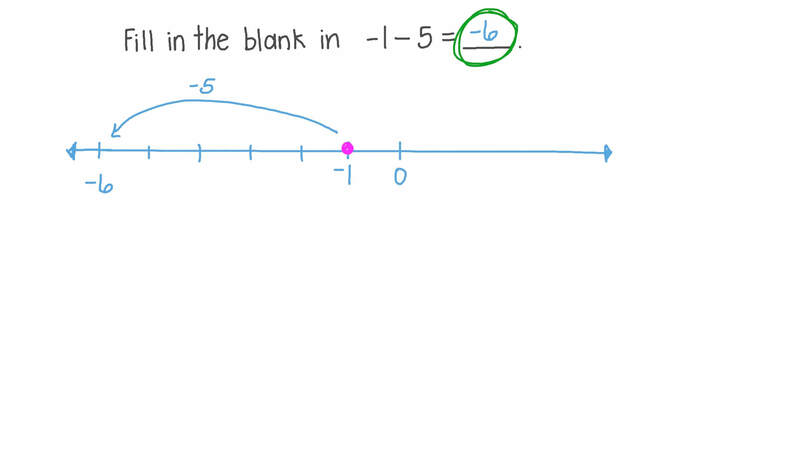 In this lesson, we will learn how to understand subtraction, subtract one- or two-digit integers, and apply this to real-life situations. Fill in the blank: − 1 − 5 = . Today, Rania is 37 years old and Nabil is 61 years old. How old was Nabil 23 years ago? Fill in the blank: 9 − 4 = . A shop had 67 tins of soft drinks. If 55 of them were sold, how many tins are left? One day, the temperature started at − 8 ∘ F , dropped 2 ∘ F , and then rose 9 ∘ F by noon to reach the days maximum temperature. The next day, the temperature started at − 1 4 ∘ F , rose 5 ∘ F , and then again rose another 4 ∘ F by noon to reach the days maximum temperature. Find the difference between the highest temperatures on those two days. Adel’s golf score was 4 strokes less than Adam’s golf score, which was 4 strokes more than Nabil’s. If Nabil’s score relative to par was , what was Adel’s golf score? The freezing point of bromine is − 7 ∘ C , while the freezing point of methane is − 1 8 2 ∘ C . How much warmer is bromine’s freezing point than methane’s? During a yard sale, Shady had two pairs of shoes that he expected to sell for the same price. One pair of shoes sold for $5 more than expected and the other sold for $2 less than expected. What was the difference between the selling prices? What is [ 3 6 − ( − 2 0 ) ] − ( − 4 + 3 ) ? What is 4 3 − ( − 7 ) − ( − 2 0 ) ? The Mayan civilization is believed to have begun in 2600 BCE and collapsed in 900 CE. How long did the Mayan civilization last? What is the difference between the most yards gained and the most yards lost? A shipwreck is 39 feet below sea level. A scuba diver is 16 feet closer to the surface. Express the position of the scuba diver in relation to the surface as an integer. The First Messenian War was one between Messenia and Sparta in Ancient Greece. It began in 743 BCE and ended in 724 BCE. How long did the First Messenian War last? Calculate the following: − 2 0 − ( − 4 ) . 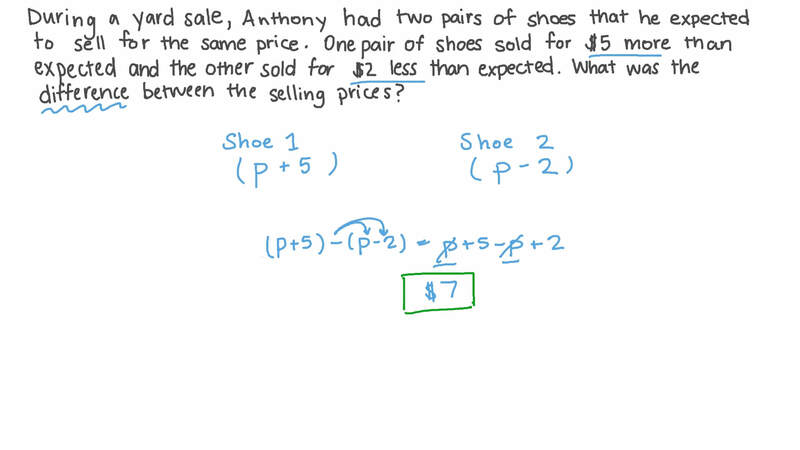 Among all of the pairs of numbers whose difference is 12, find the pair with the smallest product. Fill in the blank: − 1 − 6 = . Fill in the blank: − 2 − 5 = .